To prepare the samples, the sample needs to be dead and dry. You place a double-sided adhesive foils. ( shown on the left side of the image on the peg and place the sample on top with pimcers. Get rid oft he stuff which may not be fixed with spray so not to pollute the SEM later in the process. Place the peg in the charger using the special pincers.Adjust the charger and place it in the SEM. 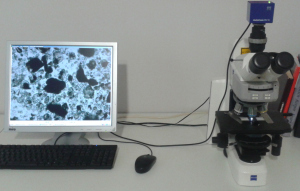 Hirox digital video reflected light microscope. 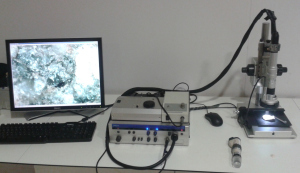 This microscope also has a program which allows to do 3D videos. We have lenses which either display a magnicafication of 50 fold. ( This is a handheld device and was not used for the ash images.) 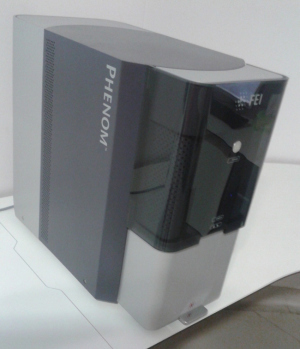 We also have lenses where you can continuously vary the magnification from 100 to 800 fold. Zeiss transmitted light microscope. 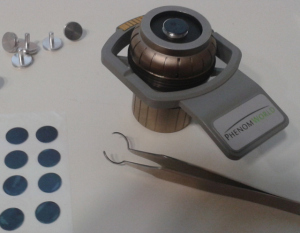 The microscope has lenses which allow a magnification of 100, 200, 400 and 1000 fold. It also has an extra channel using ultraviolett light.